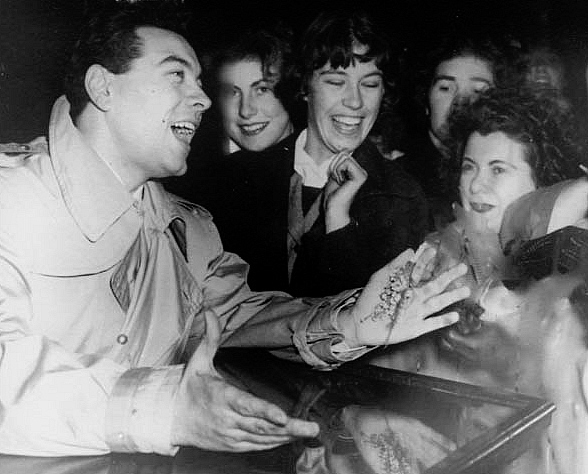 As Armando Cesari observes in his introduction to Mario Lanza: An American Tragedy, few operatic singers have been subjected to as much sheer misinformation as Mario Lanza, with "Much of what has been written [either] incomplete, inaccurate, self-serving, sensational, or a combination of all four." This has been perpetuated by everyone from anonymous YouTube posters to conductor Steven Mercurio, who claimed in an interview with the New York Times in February 2002 that “[Lanza’s] voice was not really large enough to fill a 3,000-seat theater.” Tellingly, however, neither Mr. Mercurio nor the YouTube netizens who regularly assert that Lanza couldn’t be heard “beyond the third row” ever witnessed the tenor singing in person. 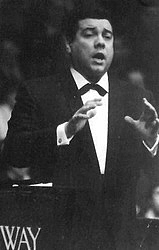 Baritone Jess Walters, who sang Sharpless to Lanza’s Pinkerton in Puccini’s Madama Butterfly for the New Orleans Opera Association in 1948, later stated that the tenor possessed the requisite “squillo”—or “ringing quality . . . to carry over and above the sound of a pit full of musicians playing together in a theater full of listeners” in the acoustically challenging New Orleans Municipal Auditorium. Metropolitan Opera soprano Licia Albanese recorded the Act III duet "Dio Ti Giocondi" from Verdi's Otello with Lanza in 1955. Fourteen years later, she told The American Record Guide's Robert T. Jones: "It really was a big voice. And I know because I sang with so many tenors, and I can tell." In his 1979 memoir My Road to Opera, conductor Boris Goldovsky, who worked with Lanza in Tanglewood in 1942, claimed that while the tenor possessed a “phenomenal” voice, “[h]is ear was totally untrained,” and he was virtually incapable of learning music. Goldovsky also claimed that because of Lanza’s shortcomings as a musician, he had been obliged to shorten the role of Fenton as much as possible. These and other Goldovsky comments on Lanza were reprinted in Tanglewood: A Group Memoir, by Peggy Daniel (Amadeus, 2008). Far from being unable to learn operatic roles, Lanza had in fact acquired at least seven by 1950: Canio (in Pagliacci), Rodolfo (La Bohème), Cavaradossi (Tosca), Chénier (Andrea Chénier), Turiddu (Cavalleria Rusticana), Fenton (The Merry Wives of Windsor), and Pinkerton (Madama Butterfly). He was scheduled to sing the role of Chénier at the San Francisco Opera in October 1950 (opposite Licia Albanese and Robert Weede), but subsequently withdrew because of work and family commitments. 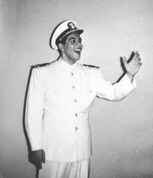 At the time of his death, Lanza had verbally agreed to sing the role of Canio at the Rome Opera House in the 1960–61 season. 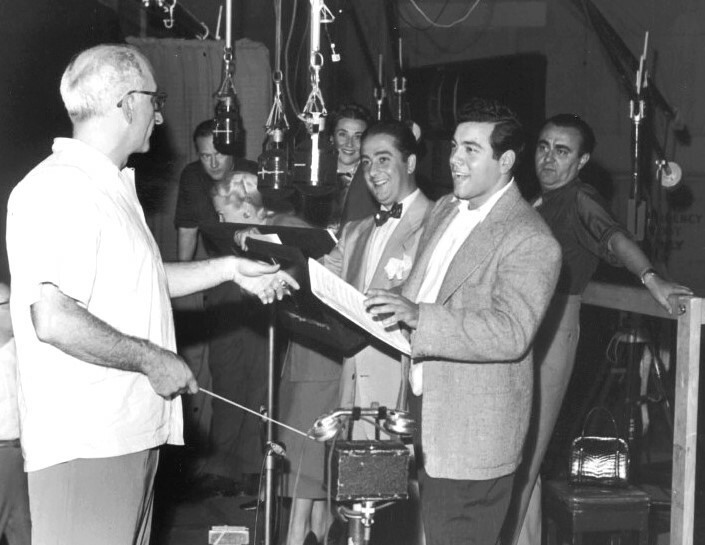 While at times (particularly in his movies), Lanza overused what lyricist Sammy Cahn admiringly called his “loud pedal,” there are numerous recorded instances in which the tenor dispels all notion that he was incapable of singing softly or with nuance. These include his exquisite live performance of the duet “Parigi, o cara” from Verdi’s La Traviata, performed at the Hollywood Bowl with soprano Frances Yeend and conductor Eugene Ormandy; his 1951 MGM rendition of "The Lord's Prayer," a live 1949 performance (also from the Hollywood Bowl) of the duet “È il sol dell’anima” from Verdi’s Rigoletto; a sublime MGM recording of Kern’s “All the Things You Are;" most of the singing on the 1952–53 MGM recording of Romberg’s operetta The Student Prince; the Schubert “Ave Maria,” and virtually all of the renditions on the 1958 album of Neapolitan songs, Mario! As Felix Borowski noted in a review of Lanza’s 1951 recital at Chicago’s Orchestra Hall, the tenor was perfectly capable of employing a “ravishing” mezza voce (Chicago Sun-Times, 8 April 1951). Note: A five-minute montage of some of Lanza's tenderest singing in the recording studios can be heard here. Lanza’s vocal technique would stand him in good stead to the end of his life. As music critic Dr. Kurt Klukist, reviewing Lanza’s final recital (in Kiel, Germany), observed in the Lübecher Nachricten (14 April 1958), “It is difficult to know what to admire most. 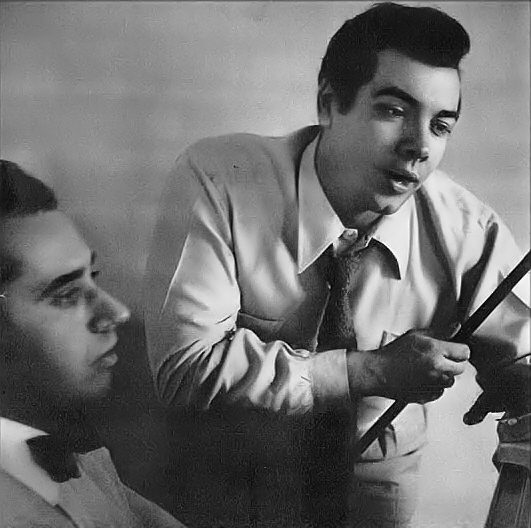 The faultless breathing technique, the elastic precision of his wording, the light ‘piano.’ The constantly disciplined ‘forte.’ The well-synchronized join between [vocal] registers.” In December 1958, barely ten months before Lanza’s death, conductor Franco Ferrara—far from encountering the burned-out instrument that Time had predicted back in 1951—discovered “a Caruso-type voice” that had “both steel and warmth." Recently—and in true Goldovskian spirit—an anonymous YouTube contributor has repeatedly alleged of Lanza’s celebrated recording of the Act III duet from Otello (“Dio Ti Giocondi”) with Metropolitan Opera soprano Licia Albanese that the two singers were never together in the studio. Instead, he asserts, a timid Lanza—unable to hold his vocal own in the presence of a great soprano—recorded his contribution to the ten-minute duet after Ms. Albanese had left the studio.